Saturday was beautiful day up here in the Boston area, so I got together with my friend and we went walking through the city. We walked around the common and down Newbury St. talking and talking and talking and ending up at the far end at Starbucks. We have walked around the city before, and I quite often end up low. Before we left, I was 134 mg/dL, but I didn’t want to go low, especially since I was flatlining around 70 earlier in the day. I set my temp basal for 50%. I don’t consider walking through the city exercise, but I won’t discredit my diabetes for thinking it. And I won’t say that it’s not good for me. And as we stood in line at Starbucks, I was 65 mg/dL. So not too low, but I was feeling it. And as I walk up to the counter deciding what snack to get, I see this small, delicious treats staring me back. (Now keep in mind that I was low.) I am trying to figure out what these treats are, since there are no signs. And I’m not really a “Starbucks” person. I enjoy their coffee, but I don’t broaden what I get because ordering at Starbucks is seriously intimidating to me. 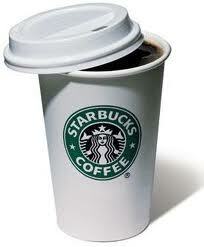 But during Lent I am limiting myself to one cup of coffee per day. ← "Sickness comes on horseback but departs on foot." Good job making all of that work for you! Sometimes I forget how walking around can bring my blood sugar down. I always lower my basal, but it's nice to see what other people do.